I love wearing my plaid flannel shirts. They are so versatile and are a perfect layer during cooler temps. I paired the same plaid flannel shirt with a few different leather pieces of clothing. I think they are a match made in fall fashion heaven. 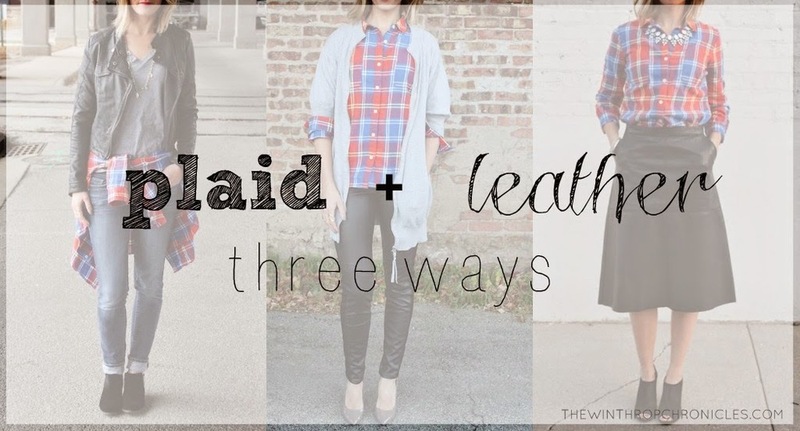 And I have been wearing this leather skirt I got in Italy any chance I get :) Here are some of my favorite ways to wear one particular plaid shirt with different types of leather.